NOTE: Cluster nodes in Charlottesville cannot access the bulk.cv.nrao.edu web server directly (where value added data products are often accessed), due to fundamental network architecture internals. We suggest, if you need to access that server from a cluster node, using the web proxy at proxy.cv.nrao.edu port 3128 in the browser settings. 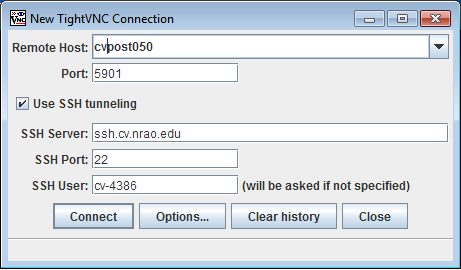 From your local machine, login to the ssh portal login.cv.nrao.edu with your username (e.g. cv-4386). Skip this section if you are physically at the NRAO. Failing to specify the IPQoS in 10.14 results in a "packet_write_wait:...Broken pipe" error. 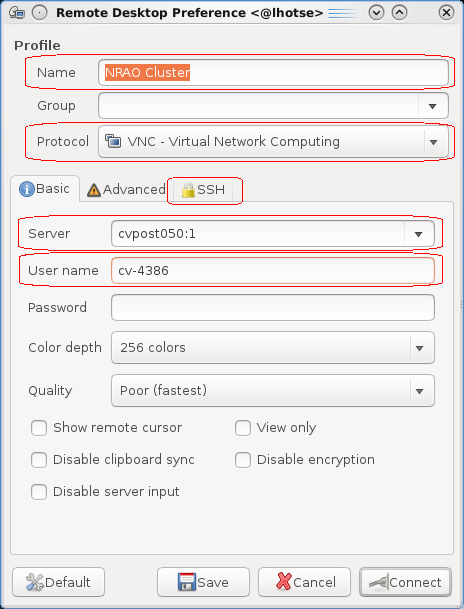 Check the box for Enable SSH tunnel, select Custom and set it to login.ssh.cv.nrao.edu, set the User name (e.g. cv-4386), click on Save. The window will disappear (Ubuntu 16+) so then right-click on the entry for this connection in the main Remmina window and then choose Connect. You will be prompted for your VNC password. 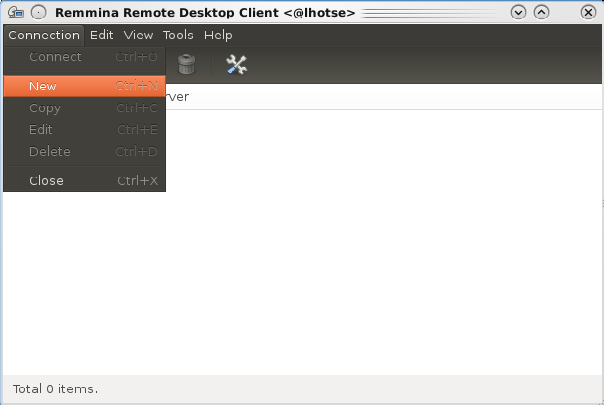 If your local machine is Windows, use a VNC client like the Java Viewer from TightVNC with the following setup. The port number can be found by adding 5900 to the session number. So in the above example, with a session number of 1, the port will be 5901. If you are physically at the NRAO, leave the "SSH Server" line blank.